STEP 2: Contact the Admissions Coordinator at any of our campuses for an admissions phone interview. Be prepared to honestly and candidly answer some serious questions about your life, your health, your family, and your legal situation during pre-screening. You may be asked to make an appointment for a personal interview. 1. 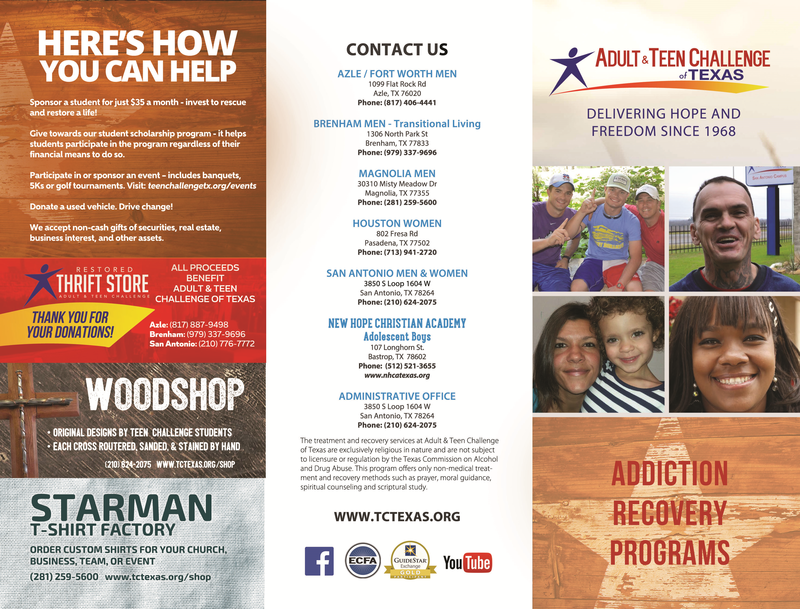 MEDICAL – The completed Health Screening Form is required before you can enter the Adult & Teen Challenge of Texas program. An interview is required as a first step. If you are unable to pay for your medical tests, there are many avenues to have these done at little or no cost. 2. AVAILABILITY – If we are full, you may be placed on the waiting list or may be asked to enroll in a different center in our group in Texas.